prayer hands to my third eye and bow to meet the ground. Sitting up and bringing my hands back down to my heart I open my eyes to the beautiful people surrounding me in this healing sanctuary curated by FreeSpirit Yoga. I greet them with another namaste. 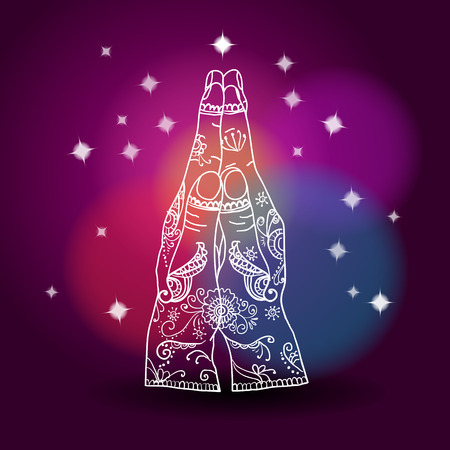 In namaste, we end our healing session the same way as we began, now ready to leave with our hearts wide open. In Hindi and Nepali, South Asian languages tracing back to Sanskrit and the religion of Hinduism, “namaste” is an exclamation of respect. “Namaste” is a greeting of hello and farewell that simply communicates Divine blessings. It means hello and goodbye charged with appreciation for the mindful and wholesome path we have all chosen to show up for. In South Asia, “namaste” would be the salutation used between gurus (teachers), swamis (spiritual guides or religious pundits) and their pupils, and with people of social stature in Hindu religious contexts. With the popularisation of the practice and philosophy of yoga outside of Hindu contexts, “namaste” has been adopted into the English language, because no other word in English expresses this unique salutation. Through “namaste” we tune in to mindfulness together; greeting the light, the good, the Divine within each and everyone of us. When we see and acknowledge this in others, we more easily open to the Divine within our own heart and soul.